Skate4AIR strives as a non-profit organization to support all conceivable activities and research aimed at improving the longevity and quality of life for Cystic Fibrosis patients. By participating in the Skate4AIR Classic on January 22nd 2019 in Austria or the Skate4AIR Daylight Challenge on Saturday February 9th 2019 in Sweden, you can help us achieving our goals. We would also be grateful for additional sponsorship. 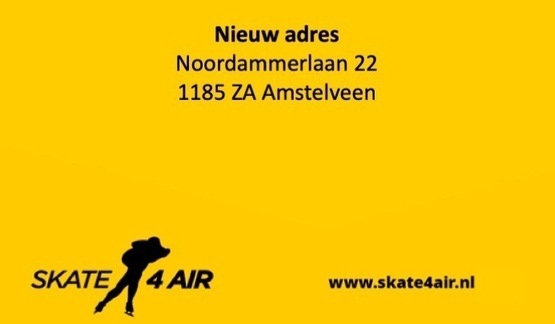 Are you ready to accept this huge challenge, in the company of Skate4AIR and joined by former Olympic champion Jochem Uytdehaage? A simple click reveals footage of last year’s Skate4AIR Classic. 200km vol gaan, you ain't seen nothing Jet! Let’s make those salty girls sweet again!